Google launched Universal App Campaigns (UAC) two years ago with the goal of making it easier for apps to grow their business. In one campaign, advertisers could leverage the power of advanced machine learning technology across Search, Google Play, YouTube, and the Google Display Network. On August 14th 2017, Google announced that all AdWords app install campaigns would move under the UAC umbrella this fall. Today, the migration is in its final stages. This is a big deal considering the sheer size of Google’s piece in the app marketing pie. Despite different opinions among advertisers about this change and its impact on campaigns, yellowHEAD found significant improvement in the performance of UAC compared to results seen only four months ago — roughly 90% higher ROI. The move has not come without some criticism in the industry, particularly revolving around reduced advertiser control (e.g. inability to bid for specific keywords). According to Google, the full migration to UAC is an attempt to make the entire process more automatic and, rather than targeting for specific keywords, utilizing its infinite data and applying it behind the scenes for better results. After all, the company is known to be at the very forefront of machine learning. Google’s algorithm automates much of the ad creation and delivery. But not all is automated. advertisers must understand what works as far as setting the right goals, pinpointing the right bidding, and generating the most effectives creatives. When your goal is to get as many new users as possible for a certain cost (preferably the lowest) – your bidding strategy implies Cost-per-Install. When your goal is a specific in-app event you want your users to complete as part of your monetization strategy, then you should bid for Cost-Per-Action. In order to properly optimize your campaigns, it is important to understand how Google’s algorithm works. When you choose to use UAC for Actions, Google’s algorithm will try to reach higher quality users. This is not necessarily the case with UAC for Installs, where volume plays a larger role, and thus UAC for Actions might cost more. We’ve also found that it takes time for the algorithm to learn which users best match each action on your list, especially if your account is new and doesn’t have a history of in-app events. From yellowHEAD’s experience, the initial time frame the algorithm requires for training is about two weeks. In order to gather enough data for campaign optimization, Google recommends a minimum of 50 daily installs for UAC for Installs; for UAC for Actions the recommendation is 10 actions per day. While you want users with the highest Lifetime Value (LTV), volume should not be underestimated. And, while UAC for Actions narrows the volume of targeted users, it is still critical for Google’s algorithm to gather enough data in order to optimize for the chosen events. It therefore recommends that you choose events 5-50% of your app’s users have completed. The choice of in-app events really depends on the nature of your app and business: for example, adding items to a cart, making an in-app purchase for the next level upgrade, signing up for a subscription, etc. Events that get you the biggest bang for your buck should be on your list. Keep in mind that downstream events are more expensive so you’ll need to have a substantial budget in order to drive success. Take a look at your app and conversion data. Select at least three events that have a healthy conversion rate and align most closely with your high value users. In May 2017, Google announced a new measurement program called App Attribution Partners. Regardless of which UAC campaign type you’re using, third-party measurement integration takes place automatically by one of seven providers, including AppsFlyer. The introduction of this program has enabled a more efficient analysis of install discrepancies between AdWords and its attribution partners. It also facilitated the creation and configuration of conversions for advertisers, helping advertisers auto-map all their in-app events from their SDK in a single click. The most prominent and anticipated feature in the new UAC is the creative assets performance report. In the past, there was no way to know which sizes, shapes and combinations our ads appeared in, but now Google gives advertisers an opportunity to see the performance of each and every creative. The most important KPI is the rating of “Performance Grouping”. Google rates each asset as “Low”, “Good”, “Best” or “Learning”, depending on its performance, giving you insights into how often UAC picks one asset over another when displaying an ad. This takes creative optimization to the next level, as we can add creative types based on their performance. However, it’s important to understand that each creative asset is just a small component of the entire ad and thus cannot be attributed for its complete success (or failure). We recommend supplying as many available creative assets as you can. We’ve found that it’s best to provide different variations of images and videos in terms of both sizes and orientation. You’re leaving money on the table when you don’t have the right ad format for the placement that may be your best performer. You should therefore ensure that you have every single format in your arsenal. We’ve learned a lot over the course of the last several months. UAC simplicity has its pros and cons and even though the campaign set-up looks pretty straightforward, there are still many tweaks that may affect optimization. When executed properly, Google UAC can be a powerful tool to achieve scale, broad reach and high conversion rates. Given that there’s now an abundance of inventory that can be reached with a single campaign, some of our clients have seen a 3X increase in scale. We believe this shift will have a significant effect on mobile advertising. 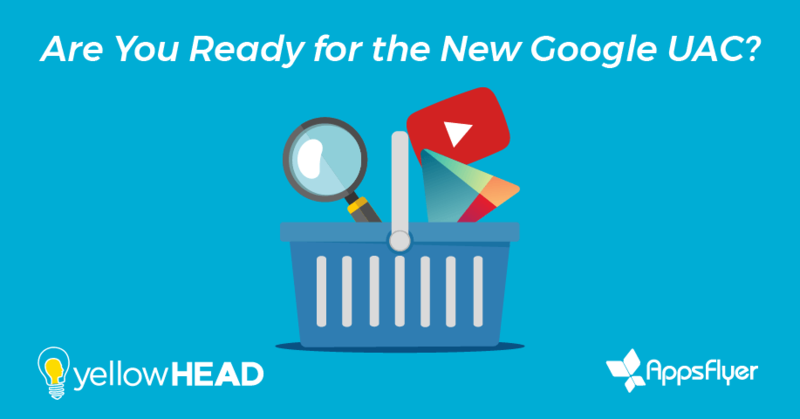 This report was written in collaboration with Itay Milstein, Google expert from yellowHEAD’s Google Marketing department. 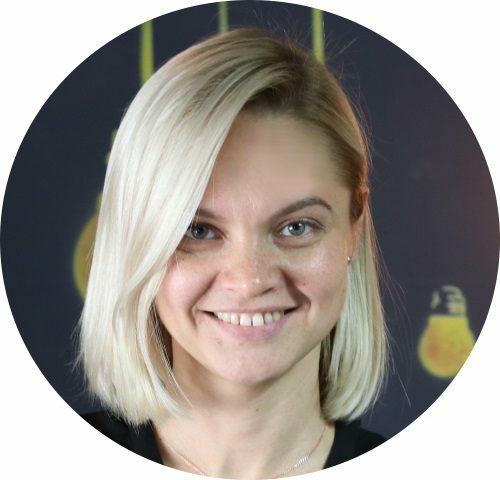 Marina Sapunova is in charge of brand content and communications strategy at yellowHEAD — a performance marketing company focusing on paid and organic User Acquisition, working with industry leaders across a variety of verticals. She has 15+ years of experience in game development and performance marketing, applying her product expertise and marketing passion to help apps grow by learning from yellowHEAD’s expert insights and latest industry findings.